I’m back from from my Eastern Europe Trip with my phone and cameras full of pictures and my mind full of memories. I can honestly say that this trip was one where I did the least planning. I didn’t have a fixed itinerary, I didn’t know what I wanted to do and I even ‘winged’ it. Which is quite unlike me. But it was a trip that that I’ll remember for life. Not only did I have the opportunity to travel alone with my mother, but we got pick pocketed as well! That in itself was an experience. What planning did I do then? Well, someone had plan the train and buses and that fell to me. So I researched and read up more on how to get around the different countries. I booked the apartments and hostels. I planned on how to get from A to B. Since Budapest and Prague are such popular destinations, it was easy to get information. What wasn’t so easy was Poland. Yes, there are bloggers who blog about Poland but it wasn’t enough. So I did the best I could and we flew off. Day 16-17 – Warsaw to Finland then HOME. Finnair – I bought my tickets to Warsaw from Finnair. I got to add in a long layover in Finland and we went out to explore a bit of Helsinki. It was niceee. Seat61.com – the look and feel of the website is straight out of the 90’s but it has all the information you need. It provided almost all the train information I needed. GoEuro – a simple Google search “Krakow to Budapest” bought up GoEuro and it listed all the possible means of transportation I could have taken. I used this all the time while searching for transportation options. It has search options for the entire Europe, I think. FlixBus – I booked a FlixBus from Český Krumlov (“CK”) to Prague but in the end, we couldn’t make it to CK so I cancelled the tickets and got a voucher of €10. PolskiBus.com – quite a lot of people have reviewed PolskiBus and it seemed quite good. So I booked this bus to and from Krakow to Zakopane. But like the FlixBus tickets, I got a refund because I cancelled both tickets. I’ll most probably touch on the whys in my Krakow/Zakopane posts but because of our change in plans, we ended up just buying our bus tickets at Krakow and Zakopane on the bus itself. We took the Szwagropol buses and they were pretty good. ÖBB – following seat61.com’s instructions, I booked my Budapest – Vienna tickets via ÖBB. It was fast, easy and convenient. České dráhy – use this website to book your Czech Republic train tickets. I booked sleeper train tickets from Prague to Krakow but because we wanted to tour Auschwitz-Birkenau Memorial and Museum early in the morning, we decided to drop off at Oświęcim Station at 5:40am. That was quite an adventure. So yah, those were the main sites where I booked my trains and buses. Everyone wants to know about cost right? I try to keep a record of what I spend when I travel overseas but I won’t be listing it down because it’ll clog up the blog post. I’ll just list down the major costs here and go into the details in the separate blog posts later. Air Ticket – I flew Finnair and bought the ticket during a sale in August. The total spent for the flight was S$699.50 to Warsaw. We had a 12 hour layover in Helsinki on the way there. I choose to fly to Warsaw because I thought it would be more interesting compared to places like Germany to Sweden (sorry!). Warsaw to Krakow – the PKP Intercity train ticket was 41PLN = S$16.38 (pre-booked). Budapest to Vienna – the ÖBB train ticket was €19.50 = S$31.49 (pre-booked). Vienna to Bratislava – we bought the ÖBB train ticket from Vienna Wien HBF Station itself as our decision to go to Bratislava for 1D1N was very last minute. The journey took about 1 hour and cost €9.90 = S$15.70. Prague to Krakow (tho we dropped at Oświęcim): I got the 2nd class sleeper tickets (2 in a room) because I thought it would be better to go to Krakow then hop on a tour from there to Auschwitz. But before we left, I changed our plans and emailed České dráhy to ask if we could drop off at Oświęcim instead (it’s the stop right before Krakow and about 2 hours away). They told it that it would be fine so that’s what we did. The (awesome) train included a ‘butler’ who woke us up and served us breakfast before we left. It was our most expensive train tickets at 1,063.50 CZK = S$68.00. Krakow to Warsaw: this was a headache since I had purchased the tickets on Day 3 when we were in Krakow and my wallet was stolen in the very same day. With the tickets in it. Since I took a picture of the ticket before it was stolen, I thought that the PKP Intercity staff would be okay to just reissue the tickets. NOT THE CASE. They refused to reissue the tickets and I had to repurchase it at a more expensive rate. <insert money flying away emoji/> Cost of first ticket: 57.60PLN = S$22.41. Cost of second ticket: 64PLN = S$24.90. Krakow – Budapest: after a long search, I decided to go with Leo Express bus and bought the ‘VIP’ seats (which basically meant more leg room). After all, if we had to ‘suffer’ a 9 hour ride in a bus, we might as well do it in comfort, right? The tickets were a bit more pricey than the rest at €17.60 = S$28.46. Oświęcim – Krakow: the ride was about 1+hour and we just took the bus from the bus stop. You can take the bus from either Auschwitz I or from the bus stop opposite Oświęcim Train Station. Since we locked up our bags at the train station, we took the bus from there. It’s basically a mini bus that stops all along the route from Auschwitz to Krakow. You just hop up the bus and pay the driver 12PLN = S$4.67. Krakow – Zakopane – Krakow: like I said above, I canceled the PolskiBus tickets which were pre-booked and we paid 38PLN = S$14.79. I had a huge headache with the choosing of accommodations because I didn’t have an itinerary planned in the beginning. So within a day, I finalized our itinerary so that we could book our accommodation. You wouldn’t be able to imagine the messages that my mom and I were sending to each other – link after links of apartments that we were looking at. In the end, I just booked whatever seemed the best (to me). Except for one night…and I didn’t realize it until the day before. Hence the trip to Bratislava. We stayed overnight in a total of 4 different countries and in 6 hostels/apartments. My mom’s complain was that with each accommodation we stayed at, the stairs only got higher and higher. I wasn’t quite expecting to be climbing countless amounts of stairs PLUS having to haul two backpacks up and down during this trip but it was okay beacause I gained some muscles and lost some weight. 1st night in Warsaw: Chillout Hostel – S$57.00 ($28.50 per pax, per night for a private room without an attached bathroom) – the place was in an old building which had beautiful architecture. The crazy amount of stairs wasn’t beautiful tho. 2nd night was in an overnight bus. It was not the most comfortable. 3rd – 5th night in Budapest: Royal Ensuit – S$160.02 ($26.67 per pax, per night) – this apartment we booked was quite centralized and a walking distance to St. Stephen’s Basilica and over to the Chain Bridge. Again, this was an old building (it’s in the same building as the Maverick Hostel). We enjoyed our stay here…the only downside was that you have to climb about 77 steps up to the apartment…in a dark-ish stairway to get to the second floor. Also, the heater wasn’t working the entire time we were there and the weather was pretty cold. But the host responded very quickly and she sent her husband/boyfriend down to the apartment at around 9pm. He couldn’t fix it so he brought a portable heater which worked just as well. 6th night in Bratislava: Hostel Brickyard – S$40.62 ($20.31 per pax, per night for shared dorm) – we just walked into the hostel and asked for 2 beds. The hostel is located just a few minutes walk to the train station (a bit shorter if you jay walk) and about a 15-19 minute walk to the Old Town. Go for the walking tour which is on every single day. 7th – 9th night in Prague: Studio Prague 5 min city center3 – S$205.47 ($22.83 per pax, per night) – the cost of this apartment was split between three pax. The room was quite comfortable BUT watch the hot water supply. After arriving, I took a nice hot bath and most probably used up all the hot water. My mom was left with all the cold water. Yikes. Also, the internet connection was a bit sporadic. Location was central enough and there’s a nice restaurant in the building. Also, it’s like a 3 minute walk away from a local restaurant called Lokal. Just remember to make reservations first. 10th night was in a sleeper train. I enjoyed it. 11th – 13th night in Zakopane: Apartamenty Nowotarskie – S$163.42 ($27.23 per pax per night) – stay here if you ever do go Zakopane. What makes this our favorite accommodation during the trip was not only the view that we had but the awesome host. In my mind, bookings from a booking website like Booking.com are not obliged to provide you additional services like tips and recommendations. But the host, Gosia went above and beyond by answering all my queries and emails in lighting short time. 14th night in Warsaw: Oki Doki OLD TOWN Hostel – S$83.39 ($41.69 per pax, per night) – this was definitely pricier since I opt for a private room with an attached bathroom. But it had the best shower. AND IT HAD AN ELEVATOR. My back was grateful. My arms thanked me profusely. Total spent per pax was S$167.23 which is pretty reasonable for a two week trip, me thinks. Just remember that you should always consider the option of backpacking if you don’t want your arms to break. If I have to gripe (a little) about anything, it would be the WiFi and 4G connection. Having always enjoyed strong WiFi and 4G in most of the Asian countries, I got a little frustrated when the 4G changed to nil on certain routes on the train, when the WiFi in some of the apartments started lagging badly and when it took ages to load my maps etc. But I survived. I bought the SIM card from hello1010.sg. They were prompt in answering any questions I had and sent out the SIM card quickly. I had 9GB for the whole of Europe and it automatically connected to the country’s carrier once we crossed the border. The card is from Three.co.uk so if you are planning to make UK your first stop, you can consider buying your SIM card. I paid S$49.00 for the card with a 30 days validity. 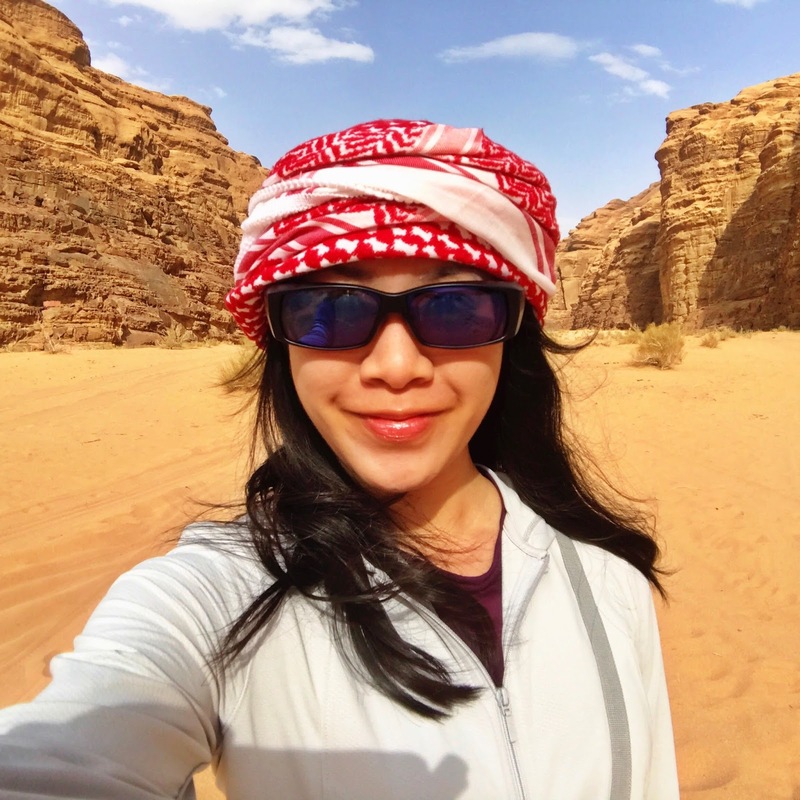 I have been a fan of Tenet Sompo’s Travel Joy for the past few years. Their website is user friendly and clean, replies to any queries are always replied promptly and the coverage is comparable. This time round, I bought the insurance through an agent and it turned out to be a good decision since we were pickpocketed. The agent assisted with the claims and it went through! If you want his contact, drop me a note and I’ll pass you his contact! When I bought the insurance, they were having 50% discount so I scored at paying only S$169.00 for two pax. I think this about covers everything that needs to be covered in this blog post. I’ll start collecting my thoughts and write about the different countries and cities we visited!